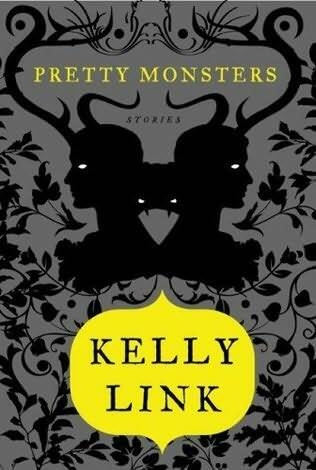 The Compulsive Reader: Guest Blog from Kelly Link! This is the final official post on my blog tour for Pretty Monsters, although Gwenda Bond (www.gwendabond.typepad.com) has agreed to let me write up something on workshops, which I'll try to do early next week. Because someone asked, I'm also going to write up a short post in the next few days for Small Beer at Not a Journal about writing the story "Magic For Beginners." But I really wanted to end this tour by talking about the way I ended up in publishing, which was zine making. My husband Gavin and I started putting out a zine, Lady Churchill's Rosebud Wristlet (named by Gavin, in honor of Winston Churchill's mother's tattoo) because he had access to a photocopier at his temp job. For almost fifteen years we've put out two issues each year. Issues include poetry, speculative fiction, occasional comics or artwork, reviews, and nonfiction, sometimes humorous. As we've gone on, we've started to ask comic book artists like Kevin Huizenga for covers. The best part of putting out the zine: we offer a chocolate bar subscription (as well as some more unlikely subscription levels) that means that we get to do some delicious research. For one subscriber, in Australia, we do a special green eye-shadow subscription, because chocolate bars would melt. LCRW is a low-budget production. It's printed on 15 sheets of legal-size paper, photocopied, folded, and stapled at our local copy store. Starting out, we made it in Word. Right now we have a print run of 1,000 copies, but our first issue was only 15. Our goal for LCRW has always been three-fold: to have fun, not to go broke, and to publish newer writers. A couple of years into making LCRW, we came up with another goal, which was to encourage other writers and readers to start their own zines. Why? Because we want to read them. If you're a would-be writer, or a blogger, or a fan of some form of media, I would strongly encourage you to consider putting together at least one issue of a zine. There are as many styles of zines as you can imagine -- some are mostly about music; some are autobiographical/personal (perzines); one of my favorites (Peko Peko) was devoted to cooking; some are text-free -- just pictures; some are made by comic-book artists; some, like LCRW, are lit zines that mostly publish fiction. I may be imagining it, but I think I've seen a handful of really cool craft/knitting/DIY zines. What I would really love to see are some YA zines -- there are a lot of good blogs where you can go and find people talking about YA fiction, but there still aren't a lot of venues that publish YA short fiction, or for that matter, young adult writers who are beginning to write fiction. Here's the thing. When you start a zine, you can make it anything you want. You can email people and ask for contributions. You can get friends to pitch in (we always have.) You can run interviews, you can put in personal essays, include artwork, collages, photographs, whatever seems to fit. Some zine makers don't use a computer at all -- they write and decorate it by hand, and then photocopy the results. And once you have a zine, you can sell them at craft fairs, or by consignment at local bookstores or comic bookstores. You can email or write other zine makers and ask for swaps (your zine for theirs.) Plus, by putting a zine together, you end up learning a lot about design, layout, proofreading, and what it's like to see your words in print. If anyone reading this already makes a zine, or if you decide to try your hand at making one, you can always send us one at Small Beer Press (www.smallbeerpress.com) and we'll send you a copy of LCRW plus something else. I'd like to thank The Compulsive Reader and everyone else who has hosted these posts, as well as the commenters who have offered their good wishes for our daughter Ursula. Now I'm going to go play with the baby.